There is a new plugin for VMware VSAN 6.0 which allows troubleshooting and monitoring of VSAN 6.0 installations and implementations. There are 2 versions of the plugin where the first one is for vCenter Server on Linux (VCSA) – this is an RPM file. And the second one is for Windows based vCenter server 6.0 – a MSI file. VMware VSAN Health Check Plugin allows to gather important informations about VSAN clusters which would otherwise needed to be gathered via RVC or CLI. The plugin check the VSAN config, HCL, storage device health and show a component problems (if any). There is also a vib file (a VMware Installation Bundle) which needs to be deployed on all hosts partitipcating in the VSAN cluster. The deployment of the VIB file can be done via 4 different methods where the easiest one is probably through vSphere web client (other methods are through RVC, VUM or manually via CLI with “esxcli software vib” commands). As being said the plugin can be enabled from within the UI (via vSphere web client). At the same time you can also enable the customer experience improvement program from VMware allowing to collect some logs from the utilization etc… Basically a feedback to VMware. Then the plugin puts host after host into a maintenance mode and installs automatically the VIB, reboot each host after and so on…. HCL checks – One of the health checks is to make sure that your environment has components which are on the current HCL, but also uses a supported software and drivers. These checks are run against a HCL file that is regularly updated. The plugin can run many tests against your cluster. 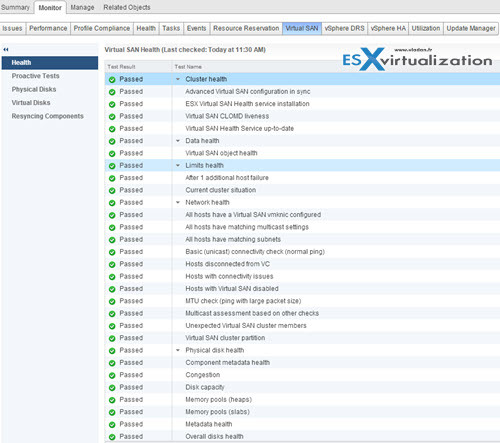 Check this screenshot from the VMware VSAN health check PDF guide. 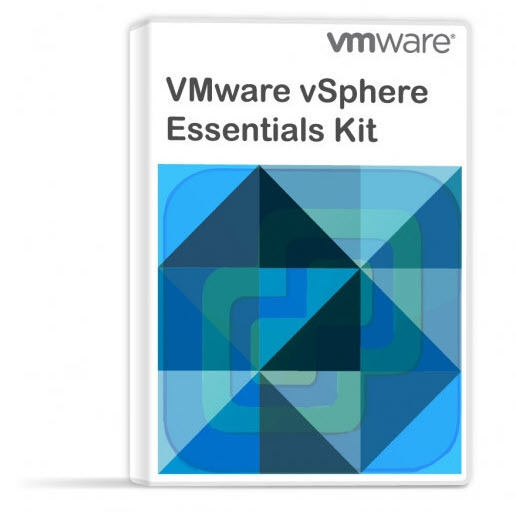 If you’re into VMware VSAN, Check also VMware Virtual SAN Diagnostics and Troubleshooting Reference Manual and this one – VMware Virtual SAN 6.0 Design And Sizing Guide – PDF Book 80 Pages. Certainly good stuff. There is also a video showing the VMware VSAN Health Check Plugin in action. 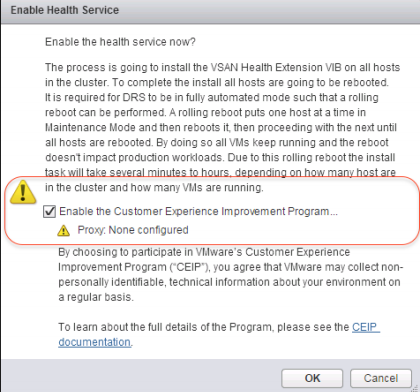 The VMware VSAN Health Check Plugin shows that VMware does provide some really useful utility for VSAN users. The plugin is available only for VSAN 6.0 and I doubt that the vSphere 5.5 will ever benefit from it.